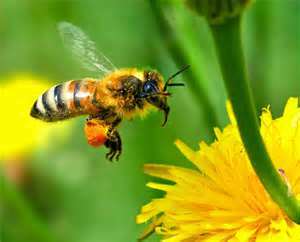 Did you know that Apis mellifera, is the scientific name of the common European Honey Bee? At this moment, my honey bees are snug deep in their hives doing their best to keep warm. We’ve had some pretty cold temperatures lately and I suspect that after the summer drought, I’d end up having to keep a close eye on the ladies. True to form, some midwinter problems have arisen. Because of the stress that a number the hives were under due to the lack of nectar foraging this fall, I’ve lost some of my hives. This is an unavoidable, yet depressing part of the agricultural landscape. Sometimes things just don’t go well and success or failure rests solely in the hands of Mother Nature. No matter how hard I try, losses are inevitable. Once I discovered the dead hives, I realized that I had to take a different track. After working through some very crusty snow and several hours of intense shoveling, I managed to dig out a trail from my bee yard into the greenhouse. With the hives strapped onto a dolly cart, I dragged them inside to give them a better chance at staying warm. Lo and behold, after all that work the weather changes again and suddenly we’re having temperatures in the low 40s, for the moment. Whatever the temperature is outside, the greenhouse will always be warmer. Needless to say, the ladies were quite happy with this new arrangement. They’re flying around inside, bumping into the plastic and seem to be fairly disoriented. It looks as though I will have to put some wire mesh over the holes to keep them from getting out. Once again Christmas and New Year’s blew past far too quickly, bringing with them strong cold winds up here on Danville Hill. We’ve had snow storms, ice storms and now rain. Even with winter tires I’ve had to dig myself out of snow banks and be pulled out far too many times already this winter. And it looks as though the coming weeks we’ll have some unseasonably warm weather. Beekeeping is becoming a strange way to measure my life. My thoughts and concerns have settled into a distinct awareness of weather patterns and how they will affect the ladies and consequently my business. This may be selfish of me, but I’m hoping for an early spring. I dream of warm sunny days with my elbows up to hive inspections and the smell of green grass. This spring Anthony will be teaching a season-long beekeeping apprenticeship course. Also try some local raw honey. If interested in details go to www.theshamanstouch.com .